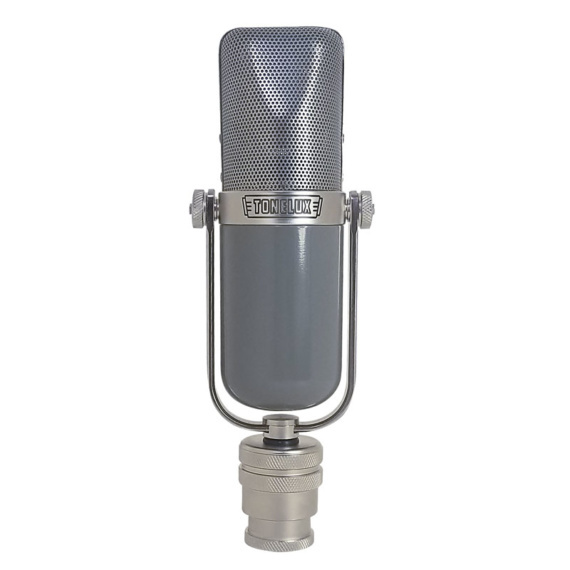 The Tonelux JC37 is the product of an endeavor by legendary engineer/producer, Joe Chiccarelli to create a present-day production microphone having the utility and singular sonic characteristics of the Sony C37a mics, manufactured in mid 20th century. Why do you love the C37 Joe? 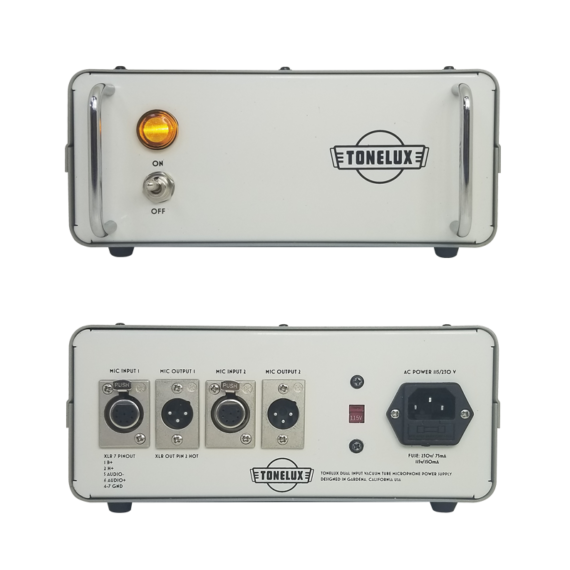 Retaining the base elements of the original design – a vacuum tube buffered 37mm single diaphragm transducer with transformer output, the JC37 foregoes selectors for pattern, frequency response, output impedance and level of the original in favor of a cleaner signal path. 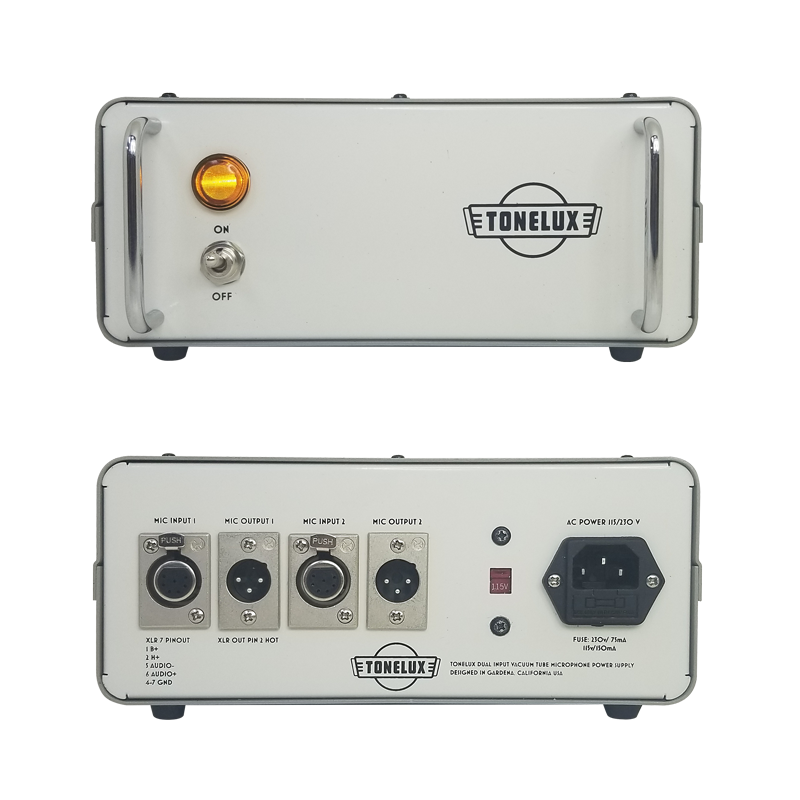 As with the mic stand mount, a three meter cable is integrated into the body of the mic and connects to a Tonelux Universal Microphone Power Supply that is capable of powering two microphones as a stereo setup. Consideration to this is reflected in the carrying case, which holds two microphones along with the PSU. 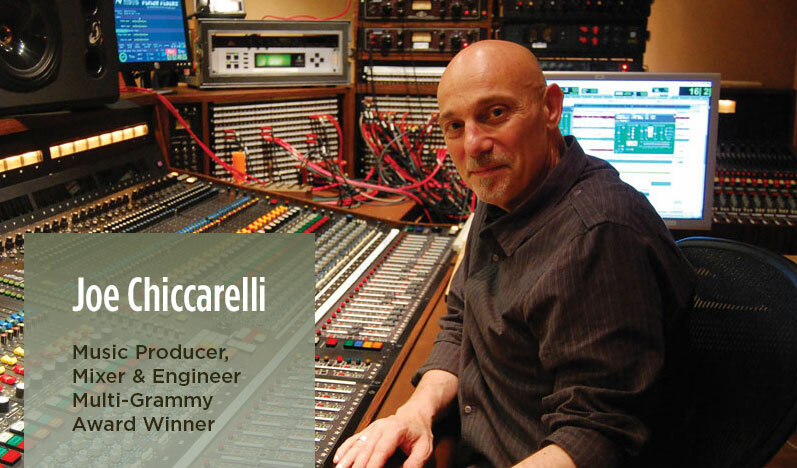 In order to provide today’s recording engineer with the sonic attributes of the original design, extraordinary care was taken to determine each contributing element in the signal path, as well as physical construction such as the head grill, etc. Listening tests throughout have been conducted at the legendary Sunset Sound Studios with access to their collection of C37a mics. 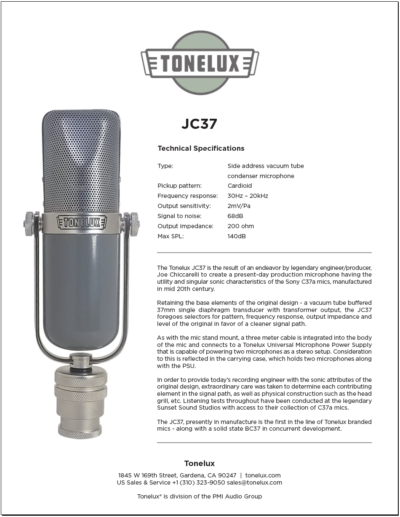 The JC37, presently in manufacture is the first in the line of Tonelux branded mics – along with a solid state BC37 in concurrent development. Why are others going to love the C37 if they haven’t ever used one? Why did you want to go so far as to get a new C37 made? What made you choose Brent Casey to help you get this done? Providing power to the JC37 microphone is a variation of the Tonelux universal tube microphone power supply, which with its adjustable B+ and heater voltage – along with selectable heater elevation can be configured to operate nearly any vacuum tube microphone in existence. 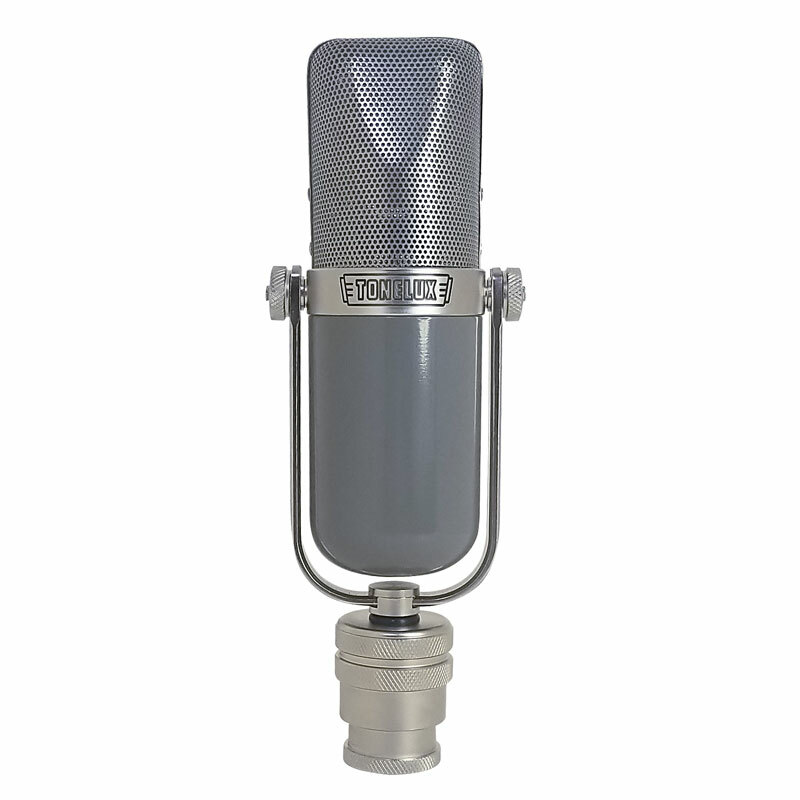 I/O for two JC37 microphones is provided for stereo/dual miking capability, meaning the mics are available in pairs, or that a second JC37 may be purchased at a later time, without the additional cost of another psu.